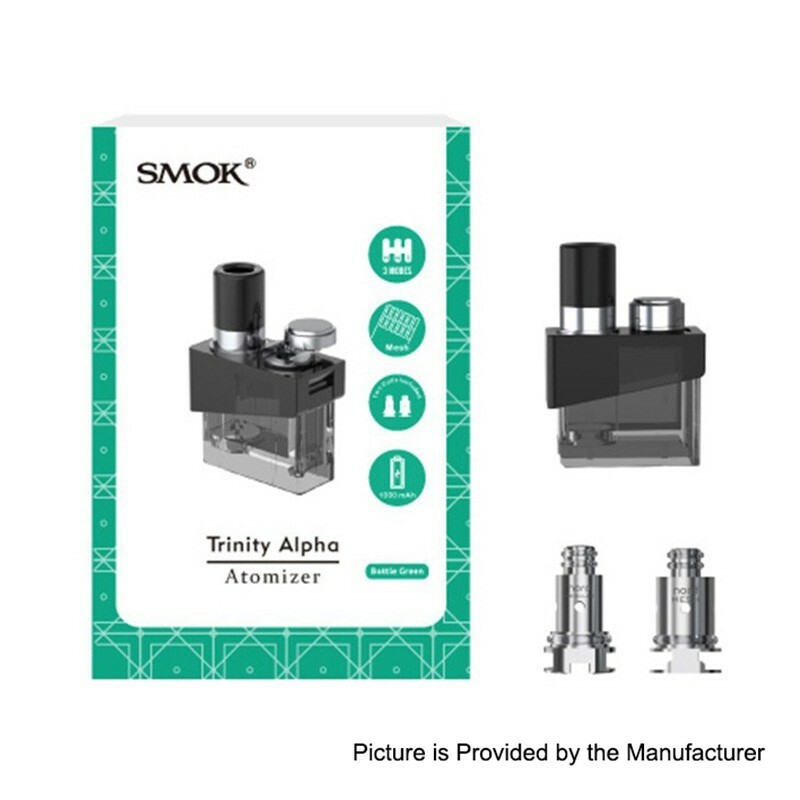 The SMOK Trinity Alpha Pod is specially designed for the SMOK Trinity Alpha Battery or SMOK Trinity Alpha Kit. With the 2.8ml capacity and side refilling hole, it is easy to replace and refill. SMOK Trinity Pod adopts a stainless steel push-up-type filling cap for convenient e-juice refill and effective leakage prevention. Besides, it is made of high quality material. 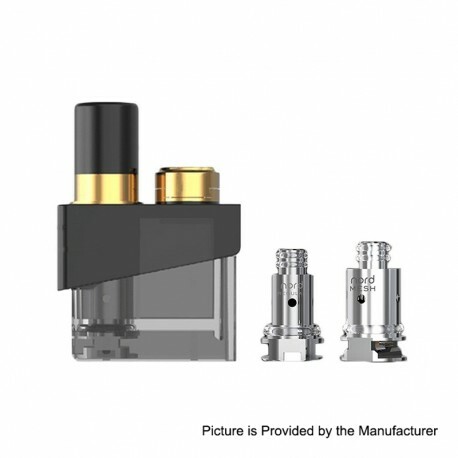 Comes with one SMOK Nord MTL 0.8ohm Coil and one SMOK Nord Mesh 0.6ohm Coil. Please Note: This is the standard version.